The two players start out with 36 units each. Set out 21 units for each of the 4 neutrals (the four colors not used by the players). Remove the two jokers from the Territory card deck. Deal out 10 Territory cards to each player and 7 to each neutral. Place one unit for that army into the territory. After every territory has been claimed, return the jokers and the Territory cards to one deck, shuffle it and set the deck facedown near the game board. Roll the dice to see who places reinforcements first. Players then alternate. Each player places 3 of his/her units (you can place them all in one of you territories or split them up) and then 2 units for each neutral (into a territory they control). Players then roll to see who goes first. High roll wins. In addition to the 11 empires and 48 territories, you can take control of 2 maritime routes comprising 8 maritime zones. Two maritime zones are said to be adjacent when they share a common border. You can move your ships from one maritime zone to another only if they are adjacent. Territories are themselves adjacent to a maritime zone if they share a common border with it. To the left of the board, under the Charte des Empires (Empires Chart), you will find the Charte des Routes Maritimes (Maritime Routes Chart) and the reinforcement bonuses they provide. To control the route to the Americas, a player must control Western Europe Atlantic, the North Sea, and the Baltic Sea. That player then receives an additional 2 bonus reinforcement regiments for controlling the route to the Americas. Place the Battleground/Victory Points card next to the board, with the Victory Points side face up. For each set of pieces, there are 3 General, 2 Admiral, 26 Ship, and 2 Counter tokens. Use the counters to keep track of victory points. You can always decide to break down your new regiments. If you are running out of pieces or tokens, take those of a color that is not used. Note: Each player is limited to 3 generals and 2 admirals maximum in the game; you cannot use the general or admiral tokens of another color. The fortification tokens are neutral tokens. Each mission accomplished earns victory points for the player who has accomplished it. In addition, some missions (Empire Missions) grant an immediate (and sometimes lasting) reinforcement bonus. When you accomplish a mission, show your card to the other players and place it in front of you face down, or face up if it gives you a lasting reinforcement bonus. Turn it over (face down) when you lose that bonus. Once you have accomplished a mission, draw a new card of the same rank. Note:You cannot claim more than one mission per rank per turn; a player can complete 4 missions in a turn, one from each rank. You can choose to play your Territory cards for their effect in the phase indicated by the card instead of exchanging them for reinforcements. If you do so, discard the card after you apply the effect. If you control the territory named on the card played, immediately place 2 regiments in the territory. If you do not want to play cards for their effects, you can still exchange them for reinforcements. Note: Joker cards have no effect and may only be used in sets exchanged for reinforcements. When you have 5 or more cards in your hand at the start phase of your turn, you must exchange some of them for reinforcements, until you have less than 5 in your hand. There are many ways to get Territory cards. When you eliminate a player, you get that player's cards. If you then have more than 5 cards, you must immediately exchange some of them for reinforcements, until you have less than 5 in your hand. Place the reinforcements gained in territories under your control, and then continue your turn. 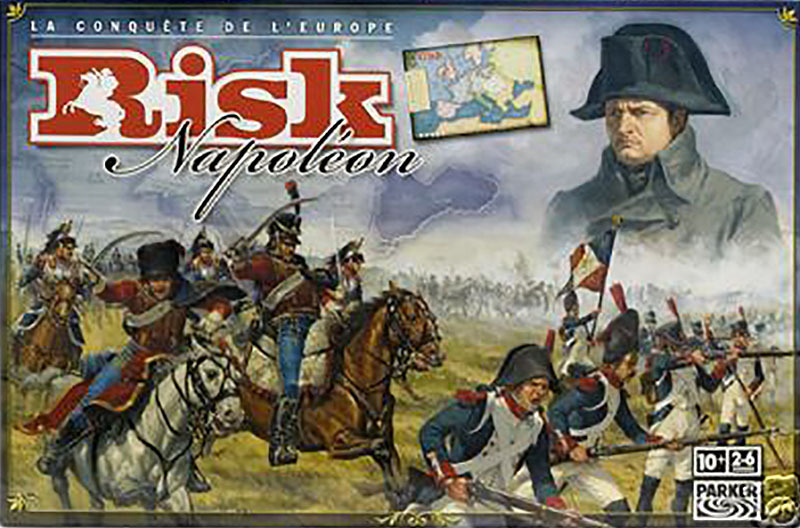 A game of "Risk Napoleon - Advanced Rules" is played in 5 turns during which you will be have a chance to leave your name in history. At the end of the 5th turn, the player with the most victory points is crowned Emperor and wins the game (even if that player has been eradicated from the map, what is important is the mark left in history!). Players choose a color and take their pieces and tokens. Each player takes his/her starting regiments depending upon the number of players, plus a general and a fortification. Mission Cards: Separate the Mission cards into 4 piles, 1 per rank, and shuffle them and place them near the game board. All players pick 1 Mission card from each rank and look at them without showing the other players. Note: Examine your missions before claiming territories, and choose territories that will allow you to accomplish your missions as easily as possible. Whenever you play a Mission card, place it in front of you on the table, face down if it does not grant you any bonus reinforcement and face up if it does. Claiming territories: Randomly choose the first player, then play in a clockwise direction. The first player places one a regiment in the territory of his/her choice, then the second player does so, and so on until all territories are under the control of a player. Maritime zones remain free at the beginning of the game. 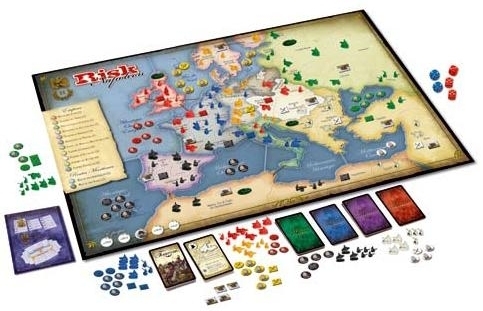 Note: If you allow a player take control of an empire at the beginning of the game, you'll allow that player to complete a mission on the first turn. 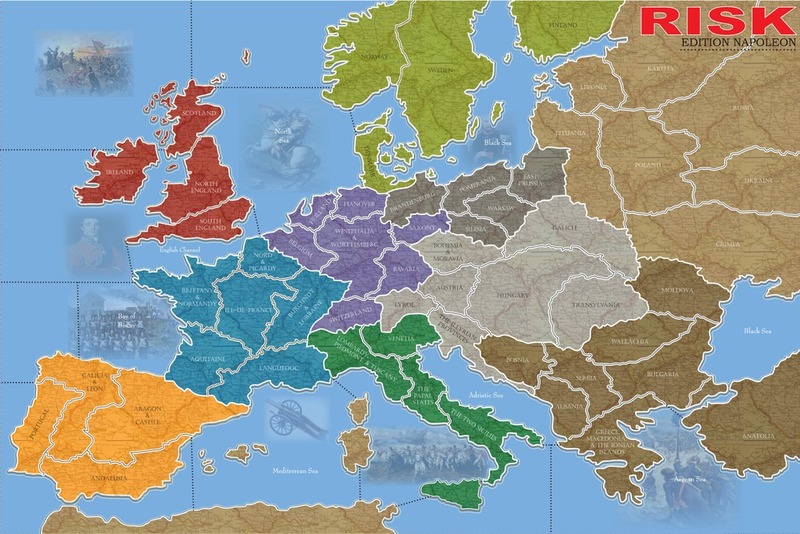 Reinforcing territories: Once all territories are claimed, players can begin to reinforce them. In turn, each player places a regiment on a territory under his/her control until all the starting regiments are placed. Once that is done, place your general and your fortification. Note: You cannot invest more than 10 regiments in a territory at the beginning of the game. Place the 4 epidemics: Draw 4 Territory cards and place epidemics in the corresponding territories. An empire cannot receive more than 1 epidemic in the beginning of the game. If this occurs, draw new Territory cards until you come across a territory that belongs to an empire that no epidemic. Shuffle all of the Territory cards together. 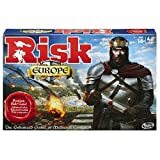 When all players have placed their starting regiments on the game board, the conquest begin! Each player rolls a die to determine the first player. Whoever gets the highest score starts (in case of a tie, roll again). The first player performs all phases of his/her turn, then the player to his/her left plays, continuing to play in a clockwise direction until the 5th turn. If you are the first player, move the Time token on the game board. At the start of your turn, check if you have fulfilled the conditions for one or more missions. If so show the card (or cards) to the other players, mark the victory points (VP) on the table, and if indicated gain a bonus. Each empire earns you a number of victory points equal to the number of reinforcements it brings. Note: When a mission has been accomplished, it is finished for the rest of the game, even if in future turns the player can no longer fulfill the requirements. Add the territories and maritime zones under your control: Divide the total by 3 (rounded down). You receive that number of regiments as reinforcements this turn. Note: You will always receive a minimum of 3 reinforcements for your territory count even if you have fewer than 9 territories. You also receive reinforcements for empires and maritime routes under your control. Refer to the Empires Chart on the board for the number of regiments that you receive. You can exchange one or more sets of Territory cards. You can exchange a set of 3 Territory cards for reinforcements according to the table below Note: You must exchange a set if you have 5 or more cards. Also, if you control one or more territories in the set, immediately add 2 reinforcements to the territory or territories in question. Do not forget: the jokers can replace any symbol. Note: The effects on the cards have no effect during an exchange for reinforcements except for the card that adds 4 regiments of reinforcements when it is exchanged in a set. Reinforcing fortifications: Add 1 regiment in each territory where you have 1 fortification that was not built this turn. Once you've totaled your reinforcements, you can exchange them for special units before placing them. Ships (cost 1 regiment): You can build ships in maritime zones in contact with territories under your control even if they are already occupied by ships of another player. Ships allow control of maritime zones and naval landings. General/Admiral (cost 1 regiment): You cannot have more than 3 generals (for regiments) and 2 admirals (for ships) in the game. Generals and admirals give bonuses to your attack and defense dice and allow for additional maneuvers. They must always be accompanied by units (ships or regiments) and are captured when the last unit to attack or defend with them is destroyed. You can have several generals on the same territory. Important: You lose 1 victory point when you lose a general or an admiral. The player who captured it wins 1 victory point. Note: If all your generals have been captured, you can always ransom them for 1 regiment per general from a player who has captured them. In this case, the capturing player immediately chooses one territory under his/her control and adds 1 regiment as reinforcements. Fortifications (cost 1 regiment): You can build fortifications in territories under your control; they give you a bonus in defense and reinforcements. You cannot have more than one fortification in a territory. If all the fortification tokens are in use, you cannot build an additional one until one is available. Note: You are not allowed to build a fortification in a territory where there is an epidemic. You are never obligated to initiate combat. You should always conduct your naval combat before starting your land offensives. If you have built ships in a maritime zone occupied by ships of another player, you must to attack them. 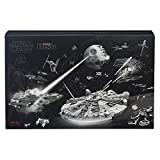 In this case, you are obliged to continue the combat until all of the other player's ships or all of yours are destroyed. Ships conduct combat in the same way as troops. You must always leave behind a ship when you invade a maritime zone even though it was empty. Admirals grant a bonus in attack and defense. Admiral's Bonus: One admiral adds 1 to the highest die in attack and defense. Two admirals add 1 to the 2 highest dice in attack and defense. Once you have finished naval combat, you can switch to land offensives. 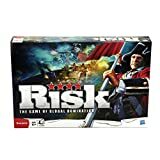 Land offensives are conducted as in classic "Risk". Note: If you invade a territory where there is no regiment, it counts as invading a territory except for receiving a Territory card at the end of the turn. Epidemic: When you decide to invade a territory contaminated by one or more epidemics, you automatically lose one regiment per epidemic before the battle begins in the territory from which the invasion is launched. Combat Bonus: Generals grant a bonus in attack and defense. Fortifications give a defense bonus, which combines with a general's bonus. General's Bonus: One general adds 1 to the highest die in attack and defense. Two generals add 1 to the 2 highest dice in attack and defense. Fortification Bonus: Add +1 to the highest die (cumulative with the defense bonus of a general). Two generals defending in a fortified territory therefore provide +2 to the highest die and +1 to the second highest die. A fortification is destroyed when the territory is invaded if there was combat. Naval Landing: If you have troops in a territory adjacent to a maritime zone that you control, they can attack all territories adjacent to this maritime zone as if they shared a border with your troops' territory. This rule can be applied to a maximum distance of 3 consecutive maritime zones if you control all 3. Example: The yellow player controls d'Andalousie (Andalusia) with 6 regiments and controls the maritime zones Méditerranée Occidentale (Western Mediterranean), Méditerranée Adriatique (Mediterranean/Adriatic), and Méditerranée Orientale (Eastern Mediterranean) with 2 ships in each. In her land offensive phase, she can attack the blue troops in Égypte (Egypt) with her troops as if d'Andalousie (Andalusia) and l'Égypte (Egypt) had a common border. When you invade the last territory of a player and he/she is eliminated from the game, remove any ships and take his/her Territory cards. If you have 5 or more Territory cards, you should immediately exchange a set for reinforcements. Place them, and then continue your turn. Once you have declared the end of your attacks, you can perform 1 land maneuver moving regiments from a territory under your control to reinforce another connected territory, and 1 naval maneuver from a maritime zone under your control to another connected maritime zone. You can also perform a maneuver for units with a general or an admiral. You can choose to move your general and admiral without units but they cannot maneuver units that were not on their territory at the beginning of your maneuver phase. Example: The blue player controls Île de France (central France) with 5 regiments and Aquitaine with 2 regiments and 1 general. 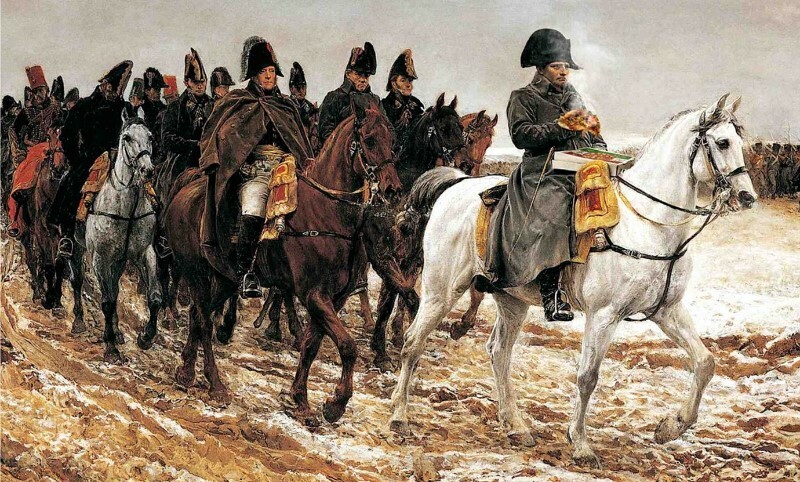 He decides to use his land maneuver to move the 4 Île de France regiments to Aquitaine and then use his general maneuver to move his Aquitaine regiments. 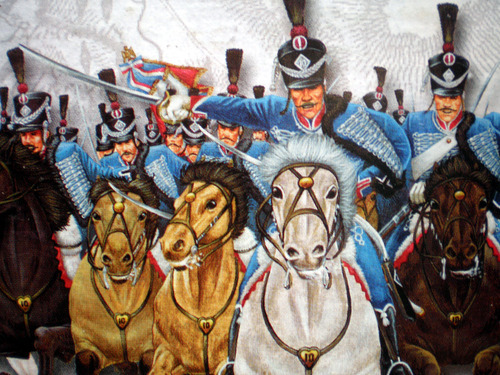 At the beginning of the maneuver phase, he had only 2 regiments in the territory, so he cannot move more than 2 with the general. Remove 1 regiment in all territories under your control where there is an epidemic. If you have multiple epidemics in a territory, lose as many regiments as there are epidemics in that territory. If you remove the last regiment in a territory, draw a Territory card, place the epidemic in the territory indicated by the card, and then discard it. If the territory has a fortification, it remains in play and will benefit the next player who controls the territory. If there is no regiment in the territory indicated by the card, draw a new card. You cannot build fortifications in a territory where there is an epidemic, but an epidemic can occur in a territory that has a fortification. Note: Epidemics can be moved by the effect of a Territory card. An epidemic moved in this way immediately eliminates 1 regiment in the territory where it is moved. In cases where this regiment is the last in the territory, the epidemic is again moved randomly by picking 1 Territory card, and does not remove a new casualty before the end of the turn of the player whose territory is affected by the epidemic. Now, at the end of your turn, check if you have fulfilled the conditions for one or more missions. If so, show it (or them) to the other players, mark the victory points and possibly gain a bonus. Invading at least 1 territory controlled by another player at this turn (no matter how many territories you have invaded). You do not receive a card if you have only invaded maritime zones. Accomplishing at least 1 mission since your last turn (some missions can be played during the turn of another player), no matter how many missions you have accomplished. Control at least 1 empire or 1 maritime route. You can receive up to 3 cards in one turn. If this is your 5th turn: Identify all the territories and maritime zones under your control, divide the total by three (rounded bottom) and add the result to your victory points. The player to your left now plays. At the end of the 5th turn the last player, all players reveal their remaining Mission cards. 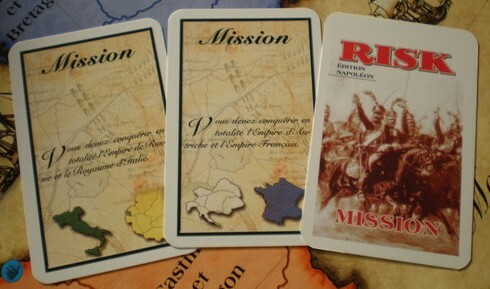 Players who have Mission cards that are normally played at the start of a turn check to see if they meet the conditions to accomplish their missions. If so, they mark the victory points. To break a tie, the player with the most regiments wins the game. If still tied, the one who completed the most missions wins. +1 attack / defense to the highest die for 1 general, and the 2 highest dice for 2 generals. -1 victory point if he is captured / +1 point victory for the capturing player. +1 regiment in a fortified territory in the reinforcement phase. +1 defense to the highest die; cumulative with a general's bonus. Destroyed in a successful invasion if there was combat. Cannot be built on a territory where there is an epidemic. Allow the control of maritime zones. If you have troops in a territory adjacent to a maritime zone that you control, they can attack all territories adjacent to this maritime zone as if they shared a border with your troops' territory. -1 Regiment / epidemic at the end of the turn in the territories you control with one or more epidemics. -1 Regiment / epidemic for the attacker in the event of an attack on a territory with one or more epidemics. Each empire has a capital that allows the controlling player to receive a reinforcement bonus even if that player does not control the entire empire. To qualify for the bonus, you must control the capital and most of the territories that make up the empire. This bonus only applies beginning with the 2nd turn. Note: If you play with the capitals option, do not receive Territory cards at the end of the turn for completing at least one mission.